William was born in China. He is one of four brothers and is the first of his family to go to college. In 7th grade, William joined the family of Access Youth Academy. Being the 3rd of four brothers, as those with older brothers may know, can be stressful. One of the beautiful aspects of Access is that Access offers a familiar community to all those involved. Access is a support system to help improve grades, get youth in shape and healthy, and provide a space for youth to feel safe and open up. William was able to find solidarity with his teammates and improve his well being through the interpersonal relationships that Access provided. William also trained hard to become an incredible squash player. He was the Team Captain for an extended period of time creating bonds and friends with all those whom he plays. He is known on the National Urban League circuit for his great sportsmanship. William obtained his first national title during his senior year of high school. 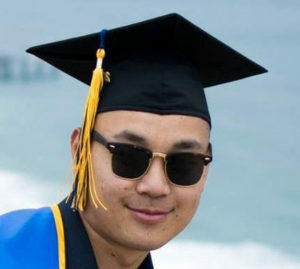 He is a recent graduate of UCSD and exemplifies what it means to be an alumni of Access. He still gives back to his community by coming back and helping the newly joined Access youth.